Krissy Shull from Alpine had a great idea to organize mini, “Mandarin-only” field trips to some of our local parks, museums and other attractions. This is a great opportunity to give students a chance to practice their Chinese in a relaxed atmosphere with other students from across the state. And through recognition that other kids are learning Mandarin, too, it could serve to reinforce the fun and importance of being bilingual. Shull says her tour group is open to anyone wanting to participate. Or parents can start their own tour groups. Plan to get in line around 1:30 p.m. Each family will go through the museum independently or can group together. To encourage the children to interact with other Mandarin speakers you may want to have them bring 10 pieces of colored paper with their Chinese name written on them (2″ X 2″ may work well) to exchange with other Mandarin speakers. Your family may want to wear something with Chinese writing, etc, to help identify yourselves as a part of the Mandarin speaking group. The Museum of Natural Curiosity is a large glass-walled building housing more than 400 science- & nature-themed interactive exhibits. This entry was posted in Cultural events, Resources and tagged Alpine, field trips, Mandarin, Utah, Utah County on July 19, 2015 by diparents. 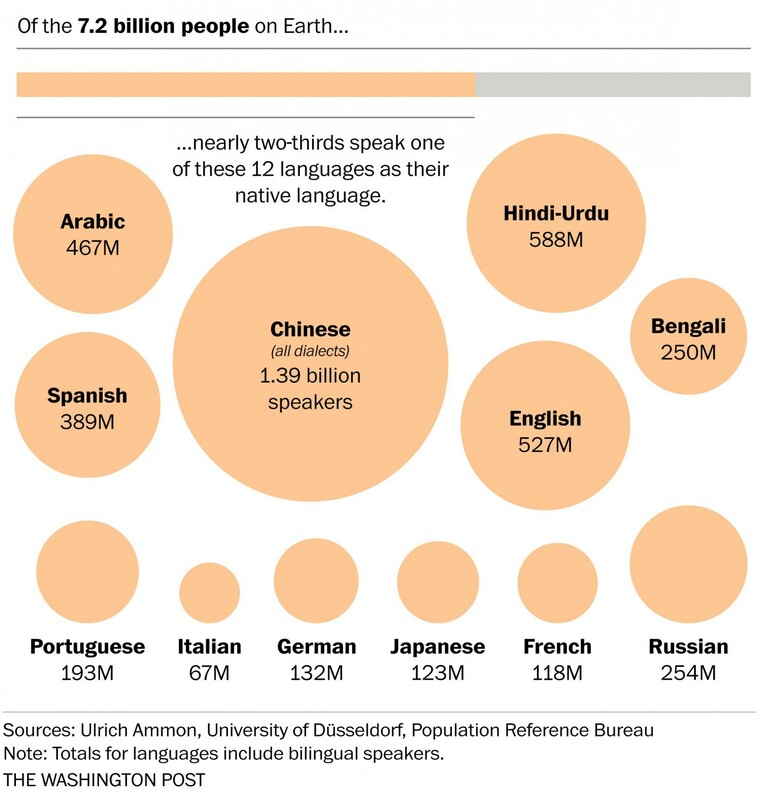 The Washington Post just published this fascinating series of info-graphics illuminating some surprising facts about language, diversity and global populations. What I love about this series are the layers of complexity. The story isn’t all that long, but it challenges us to question misconceptions about the dominance of English. 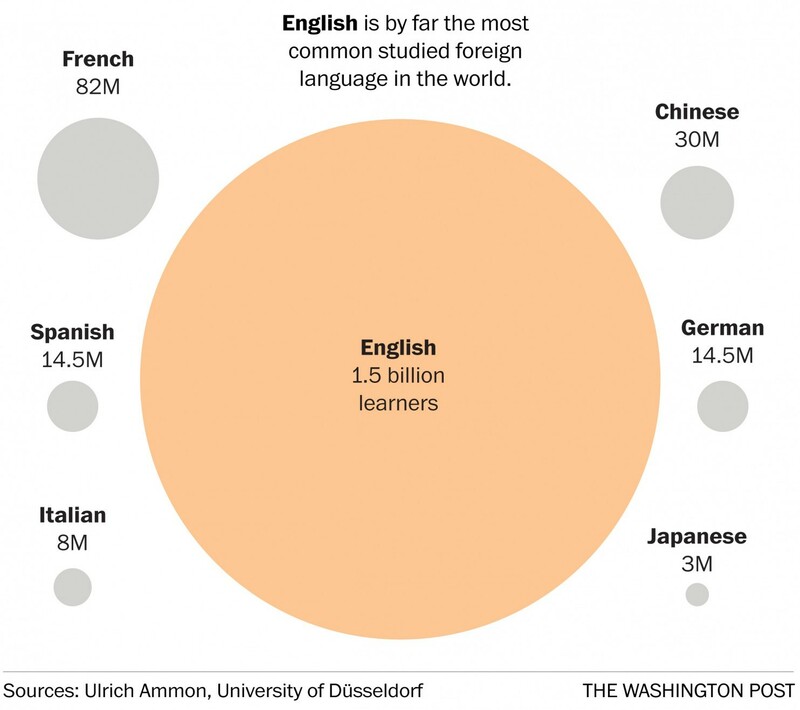 Chinese, for example, has more native speakers than any other language, followed by Hindi and Urdu,” WAPO reports. English comes next, followed by Arabic and then Spanish. But cut the numbers differently, and you get a new perspective. 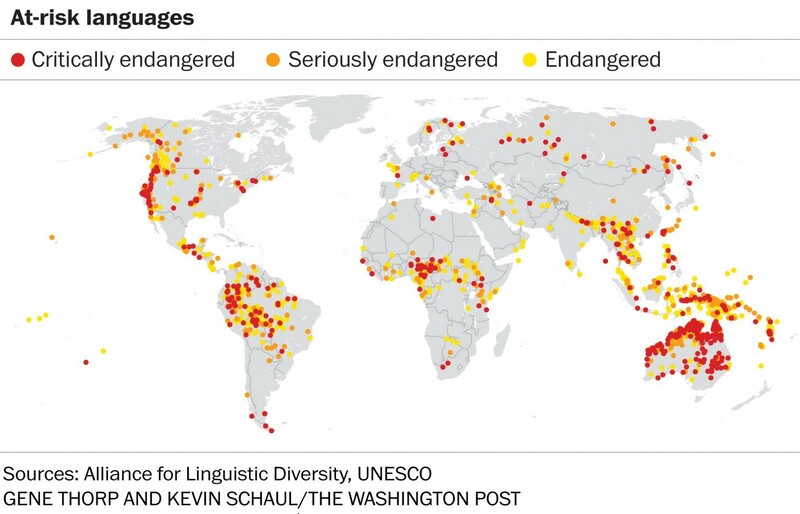 We’ve all heard that America is a great melting pot, but it is far from the most linguistically diverse country or continent. Africa wins that distinction. English is widely used as an official language. It is spoken in more countries than anywhere else and it the most studied. 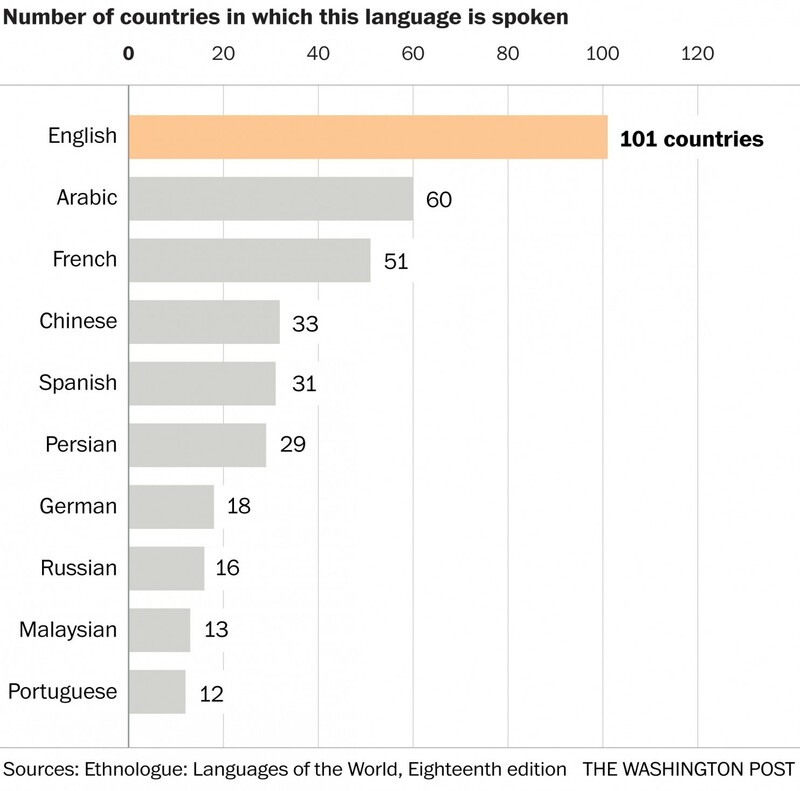 But the most languages are spoken by only a handful of people, and are at risk of disappearing in 100 years, says WAPO. This entry was posted in News and tagged Chinese, diversity, English, languages, linguistics, washington post on July 13, 2015 by diparents. Apologies for this late post — I thought it had already published. But it may not be too late to sign up for the Confucius Institute’s annual summer camp (for grades 2-6), running from July 27-31. There are several locations this year, including the University of Utah’s Salt Lake City and Bountiful campuses, Brigham Young University in Provo, Utah Valley University in Orem, and Dixie State University in St. George. You can enroll online at: www.youth.utah.edu. This entry was posted in Resources and tagged Chinese, Confucius Institute, Mandarin, summer camp, University of Utah, youth education on July 1, 2015 by diparents.